On 6 January 2017, it became public knowledge that Chatime, the well-known tea-brand, would be rebranding all of its outlets in Malaysia to Tealive. If you visited Chatime regularly, this might have come as quite a shock to you. The cause of the rebranding was a disagreement between Loob Holding Sdn Bhd, Chatime’s sole Malaysian franchisee, and the Taiwan-based La Kaffa International, the franchisor of Chatime beverage outlets. The two parties had a strong disagreement about royalty payments and ingredient sources used for the various tea products. Convinced that the disagreements made a working relation impossible, La Kaffa suddenly and without warning terminated the franchise agreement which still had 24 years left to go. Loob Holding’s CEO Bryan Loo countered quickly by consolidating 95% of all Malaysian Chatime outlets. He then collectively rebranded all retail outlets to Tealive and rose up as the main competitor of Chatime in the Malaysian market. The story was widely reported throughout Malaysia, with Loob Holding’s CEO Bryan Loo being a Malaysian example of someone who made it big in franchising. In order to appreciate the implications of the Chatime/Tealive disagreement, you should have a basic understanding of what franchising is and how businesses can benefit from it. At CompareHero.my we value your financial literacy, so in order to get you familiar with the topic, we figured that this is the perfect time to do a longer series on franchising. With this first article, we will introduce you to the concept of franchising, different types of franchises and the pros and cons of starting a franchise. Over the course of this series, you will learn how to start your own franchise, how to compare franchise offers and lastly, we’ll walk you through an in-depth analysis of the Chatime/Tealive story. Enjoy! Franchising is primarily about branding. Small business start-ups often face strong competition from already established brands. These brands have been around longer and customers are familiar with the products and services associated with these brands. As a new business, it might be challenging to compete against them. One of the solutions that could help new entrepreneurs to bridge the gap is franchising. A franchise agreement is, essentially, an agreement between two parties that allows one party to use the brand, product or production process of the other party. In return, the brand owner charges franchising fees or royalties. Franchising typically occurs when a company has a successful business model that would suit heavy expansion, but the company does not have the capital necessary to support said expansion. Instead, the company licenses local businesses to carry its brand, product or service in return for fees and royalties. For the brand-owning company, it is a fast and easy way to export brands, while local businesses get equipment, support, stock, advice, and of course a high profile brand to go with their product. Although franchising is primarily a marketing solution, it can also be a solution for a capital shortage because franchising your brand is almost always cheaper than manually expanding it throughout the country through owned retail outlets. Next to being cheaper, it is also faster. This might be important if you believe that your brand only has a short term appeal and needs a critical mass to remain viable. Loob Holding was able to benefit from the franchise agreement because of the brand recognition of the Chatime brand and the operational support from the Taiwanese franchisor, La Kaffa. This allowed them to quickly expand the number of outlets. La Kaffa benefited from the franchise agreement because the agreement allowed them to expand relatively hassle free into the Malaysian market. In this case, La Kaffa International used franchising as the main method of market entry. There are actually various ways in which a franchise agreement can be structured. We’ve listed the three most common one’s for you here. A business franchise is the most common type of franchise. The franchisor grants the franchisee the full use of an established business, including its name and any related trademarks. The Franchisee is allowed to run the business independently but is due to pay an agreed upon amount in royalties or franchising fees. With this type of franchising, the franchisee typically enjoys a lot of support from the franchisor and also has the option, or is legally obliged to, buy his supplies from the franchisor. A business format is generally characterised by a lot of support with almost no independence. McDonald’s is a classic example of a business franchise. 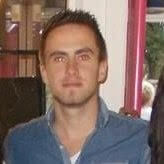 There is little autonomy among the retail outlets and the individual owners have no control over the products on offer. A product franchise is a type of franchising agreement where the manufacturer allows retailers to sell products and use names and trademarks. This is most common for Franchisors that don’t have any direct retail locations but instead sell their products through either supermarkets or third party retail stores. Within this type of franchising arrangement, the manufacturer retains a lot of control over the distribution process. In trade for fees or a purchase of a minimum amount of products, the retailer is allowed to sell the manufacturer’s products and use his name and related trademarks. A product format franchise is almost always based on a dealer-supplier relationship. A good example would be the car tire industry. Car tire manufacturers franchise the right use their brand name and trademarks to car dealerships. The dealerships than uses these rights to market and sell the tires. A manufacturing franchise allows the franchisee to assume the responsibility of producing the Franchisor’s good or service, in addition to the use of its name and trademarks. I a business or product format, the franchisees are not allowed to actually produce the good or service that they are selling. With a manufacturing format, however, the production process is integral to the franchise agreement. Take Coca-Cola for example. As part of their franchise agreements, they supply their syrup concentrate to bottling companies, who then use this syrup to manufacture the actual cola. After that, they bottle and package the product and sell it on to retailers. Of the three formats, the manufacturing format offers the most independence. 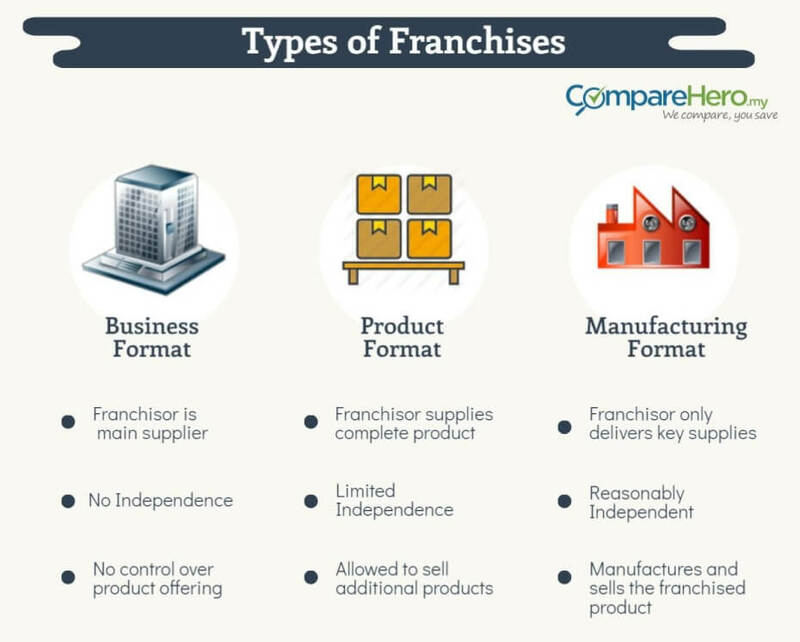 Now that you know what franchising is, and which types of franchises there are, we will now go over the most common advantages related to starting a franchise business. Franchising has several advantages when compared to starting your own business independently. You are starting off using an already existing brand, with all the perks that come with it. Your products/services will already have the customer loyalty and brand recognition associated with the franchise brand. When starting up a business, your business model is likely to require a lot of revision and adjustment as you become more familiar with your market. When you decide to get into franchising, you’ll most likely adopt the business model that is common throughout the other outlets. This saves you the trouble of setting up a business model from scratch since the standardised business model already has a proven track record. As part of the franchise, your employees can benefit from training programs provided by the franchisor. This will allow you to get your staff on point a lot faster than usual. If you plan to actively manage the business yourself, you can most likely also benefit from the management training programs that the franchisor offers. You don’t have to do it alone! Whenever you run into issues, you have a strong support structure to fall back on. The franchisor has likely been in business for a while and therefore has corresponding support and failsafe systems in place, in case anything goes wrong. You will benefit from every promotion that the franchisor is running on their brands. You don’t have spent any time or money on designing and creating brands and marketing materials. In most cases, you can instead just order them from the franchisor. This type of value exchange helps the franchisor in keeping its brand consistent across all outlets. Imagine if each outlet would create his own marketing materials, it would be very messy and the effect of the overarching brand would be diluted. Next, to the regular costs of starting a business, you are also going to have to pay an initial franchising fee to become part of the franchise. 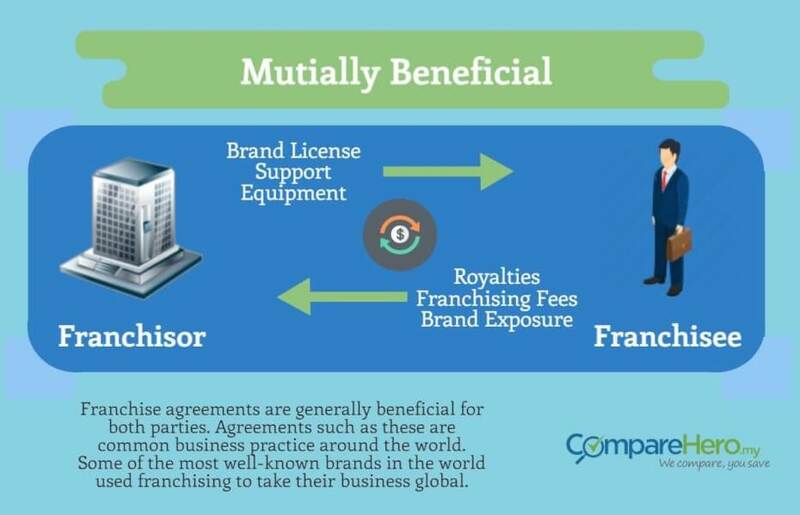 Additionally, depending on your contract, you will most likely be paying royalties or a percentage of your revenue to the franchisor, as long as the franchise agreement lasts. Starting a business is always a risky venture. Becoming part of a franchise does not mean that you will share in the profits of the entire company. The brand company might be making a large profit but that does not apply to you. Your business operates independently and you are therefore responsible for running your own profitable business. No matter how you look at it, becoming part of a franchise means limiting your independence. Whereas with a regular start up, you can decide what you want to sell, how you want to position your brand, etc. As part of a franchise, you no longer have that freedom. You are legally required to conform to the franchises range of products/services and branding strategy. The Franchisor can also prescribe rules that you have to follow in order for you to use their brand. For example, rules about employee training, management policies and quality standards. This doesn’t necessarily have to be a bad thing, put it limits your choices. Usually, the franchisor is supporting your effort to make your franchise business a success. But if this is not legally established in your franchise agreement, you might run into trouble. If, for example, the franchisor has a model franchising agreement which states that royalty payments are due regardless of whether the business was profitable or not. This can actually encourage the franchisor to just open as many franchise outlets as possible, regardless of the profitability of the businesses, because the royalties are due anyway. Similarly, if you don’t have an agreement about territory in your franchise agreement, the franchisor might open another outlet in the same street as you. Even though you’re carrying the same brand, you are actually competing because you don’t share the same profit structure. Pay attention to details when signing a franchise agreement, the small print can have a long-lasting effect on your business. We hope this article has helped you understand what franchising is and what the pros and cons are. 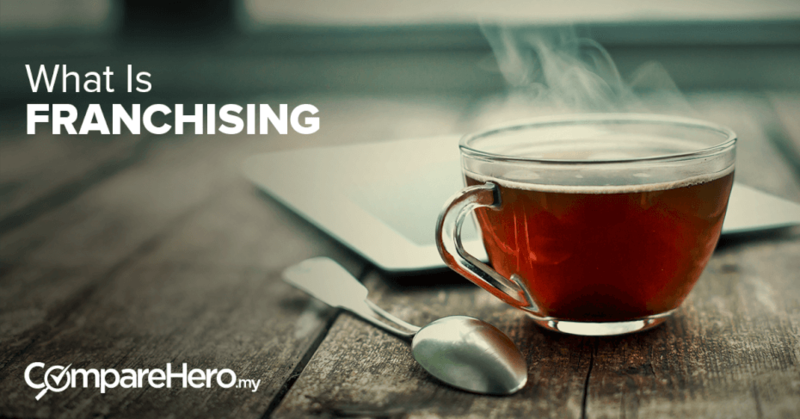 Franchising is a rapidly growing industry in Malaysia and you might be interested in starting a franchise yourself. Even if you don’t, understanding the concept of franchising can help you make smarter financial decisions. In any case, stay tuned for the next article in this series which will take you step by step through the process of starting your very own franchise business. CompareHero.my strives to empower Malaysians with financial literacy and the tools to make better financial decisions in life. 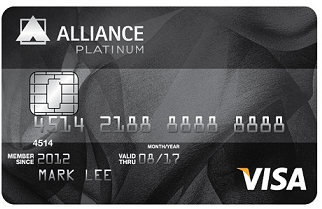 Find and compare the best credit cards and personal loans on CompareHero.my today.